Situated in the very centre of the Adriatic coast and at the unique location between the sea and the lake called Vransko jezero, surrounded by natural beauties of national parks, by its appearance and the charm of a small Dalmatian place, Pakoštane can be a good reason for your arrival. 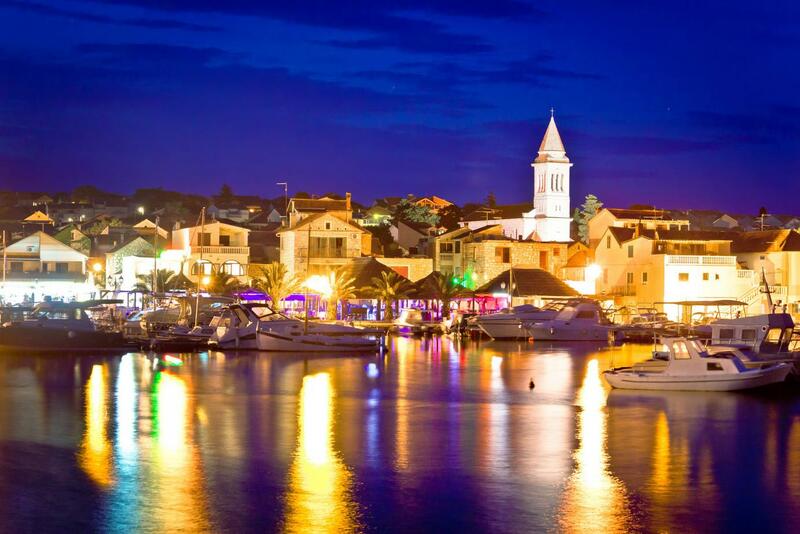 The immediate vicinity of the Zadar and Split airports enables a quick arrival to this area. Good connections with the European road network and regular ferry lines with Italy make Pakoštane an attractive destination.In the comforts of the Mediterranean nature and the beauty of the Pakoštane Rivera, everybody can find his own piece of the summer paradise, children playing on the sand, adults in the shade of the pine wood, and those in love in hidden coves of neighbouring islets.Gourmets can enjoy in domestic spe-cialities; cheese, smoked ham, lamb meat, and lovers of seafood in fresh fish, shells, scampi and good Dalmatian wines. Pakoštane offers its guests an un-forgettable experience of summer with memories of odours of the sea and the old pine wood. Except for enjoying in the sea and in the sun, guests are offered active vacations in Pakoštane through a rich offer of sports and recreational contents in tourist settlements or through organizing of local sports competitions. Special attractions are trips to surround-ing national parks and nature parks. Pakoštane summer evenings filled with sounds of music and songs, irresistible odours from restaurants and taverns, dazedness with good wines, satisfied faces and smiles, remain in permanent memory of guests. Many of them return each year.